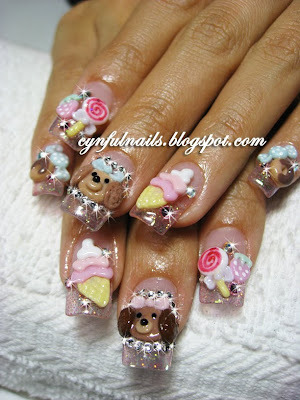 Did a set of nails that consists of ice creams, cupcakes, candies, doughnuts and lastly her doggies, poodles! This customer of mine is really amazing cos she's got 5 poodles! 2 giant ones and 3 toy poodles. Damn cute!! Yes, this took me quite awhile to get it done. I kept staring at it after it was done! 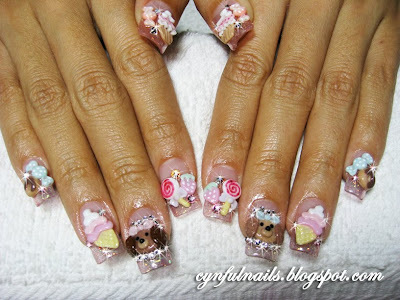 Her cute toy poodles! From Nail Max! Referenced some of the nail art from Nail Max and the lollipop design from Clara. 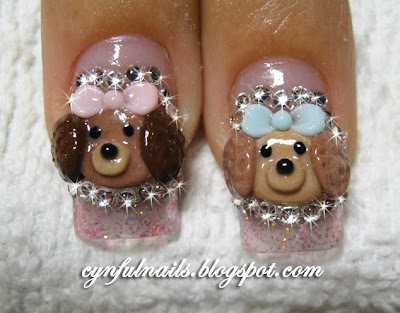 Oh I LOOOOOVE those poodles so much! I have a toy poodle too! 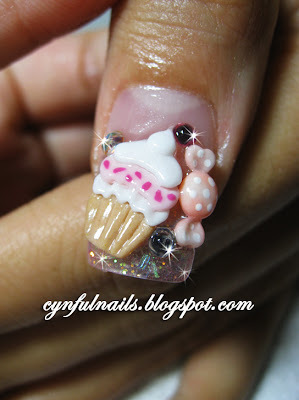 I must have nails like those!